On Monday we helped Soo pour plates to prepare for her projects and worked on protocols. Additionally, we began to organize our pages for our wiki and started protein profiles. We also discussed our killswitch ideas and worked to find the gene sequence for our second killswitch promoter. On Tuesday we worked on G-Blocks and promoters and met with Sam to figure out how we would make our primers. We worked on our G-Blocks, started on primers, and continued working on our materials list. We also continued work on our protein profiles. On Wednesday we met with Sam and Janie to discuss our “finalized” G-Blocks. We learned that our proposed method of gblock construction was not the best as having the prefix and suffix before each part would stop us from being able to submit our minal design as a full part., They both discussed our tagging methods for cellulase and xylanase and at the meeting we decided to use antibody tagging for these proteins. We also learned that we would need to redesign our gblocks as yeast is unable to produce multiple proteins with only one RBS. We redesigned our system to have a Kozak sequence before both the lignin breakdown enzyme and the helper enzyme. Finally, we decided to cut cellulase and xylanase from our design because of cost and just order the enzymes for testing. On Thursday we helped Soo with her GERI students and epidemics presentation. 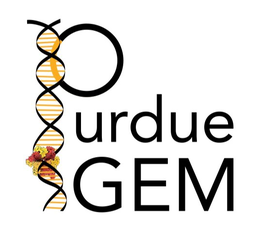 It was a fun and rewarding experience and was good outreach for the iGEM team. Unfortunately we were forced to cancel our G-Block order as we had chosen a green fluorescent protein that was incomplete. We researched during the day to find a new GFP and possibly a new secretion tag in case we found a workable GFP designed for a different terminus. We ended up finding a possible replacement but the documentation was unclear and we decided to hold off on ordering until we talked to Dr. Rickus. Friday was factually the best day of the week. In the first hour we redesigned our primers and had them ready to go. Early in the day Dr. Rickus stopped by to talk to us about our progress and we were able to discuss our GFP progress. She was able to help us select our GFP and talked to us about linkers which we then researched and added to our parts list. We learned that our primers were no longer god as we needed to use a different iGEM prefix to meet regulations and so we changed our G-Block design. Shortly thereafter we began to construct our final G-Blocks and then moved on to our primers. We started miniprep but some issues arose and we moved the miniprep to Monday. Before concluding for the day we ran our primers and Gblocks through a series of checks to ensure we would be able to complete PCR and that our sequences were correct. We ordered our DNA and ended the day on a good note.